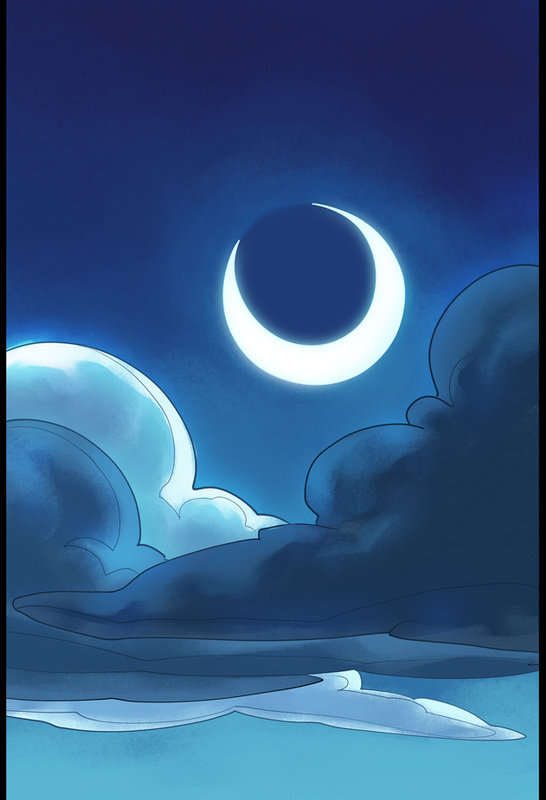 This is actually the first half of a planned two-page update, but I failed my saving throw vs migraines yesterday, so the next part will be done in a few days! In the meantime, clouds! A moon! Ambiance! !